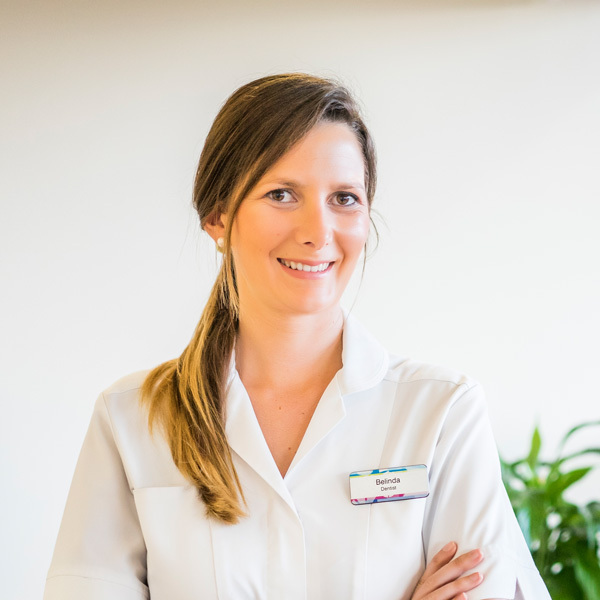 After working in the UK for 5 years she came back to her holiday place in the sunny Spain in 2013, a year later Dr. Belinda Pamos took over Sonrisa Dental clinic in 2014, It was initially opened in 2007 by Dr. Chris Weir and his wife Katherine. In January 2017 willing to offer the best quality treatments and comfort to her patients she opened the new Sonrisa Dental Clinic, a modern but cozy clinic, with the latest technology in an open and fresh atmosphere with a relaxing sea view. 2013 She moved back to Spain after spending 5 years in Bristol, UK working for the National Health System and private, she also provided support services to the Bristol Dental Hospital. 2014 “Advanced Bone and Soft Tissue Regeneration in Implant Dentistry” with Dr. Urban, professor at Loma Linda University California, author of scientific articles and text books. She has embraced digital and high technology dentistry since the beginning of her career and uses the very latest dentistry techniques, materials and equipment.